Dave Beech, Andy Hewitt, and Mel Jordan are the three members of the Freee art collective. 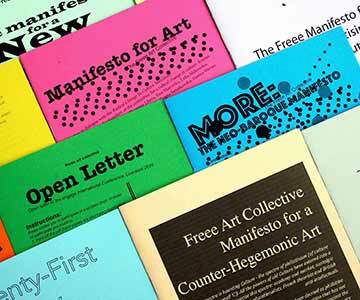 Freee uses manifesto, spoken choir, kiosk and bodily endorsement of slogan to attempt to form community through the declaration of agreement and disagreement. 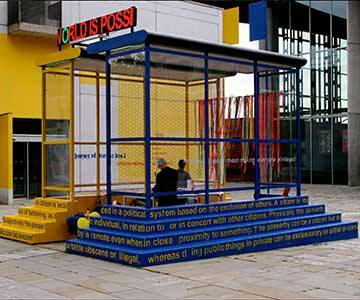 They use kiosks to assemble groups of people around ideas which are published on badges, clothing, and signage. Conceiving of publics through techniques that derive from montage: cutting, pasting, rearranging, splitting and joining, their work explores how individuals and groups can be temporarily cut out of the community and pasted into new configurations, rearranged through discursive processes of splitting and joining (disagreeing and agreeing) and then reassembled in a new totality through acts of collective publishing. 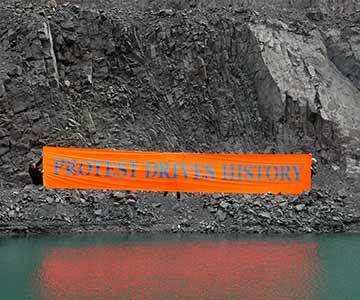 They are preoccupied with the idea of ‘the collective’ and methods for us to all act more collectively within the public domain. 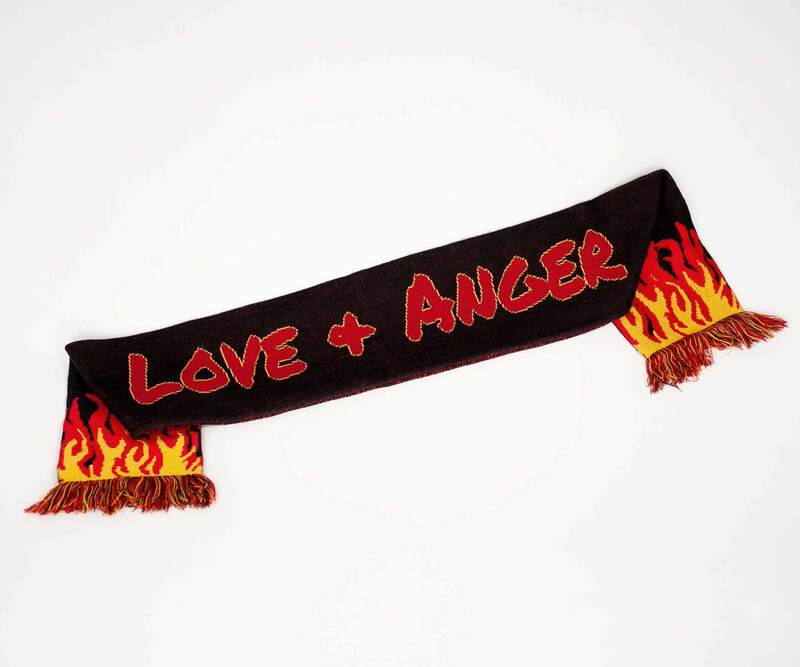 Knitted scarf with the text "Love & Anger". A specially built kiosk, along with LED signage, balloons, and leaflets, is manned by the members of Freee. 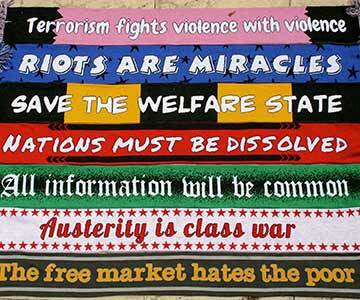 An act of isolated political and philosophical declaration, photographed and later displayed on a billboard. 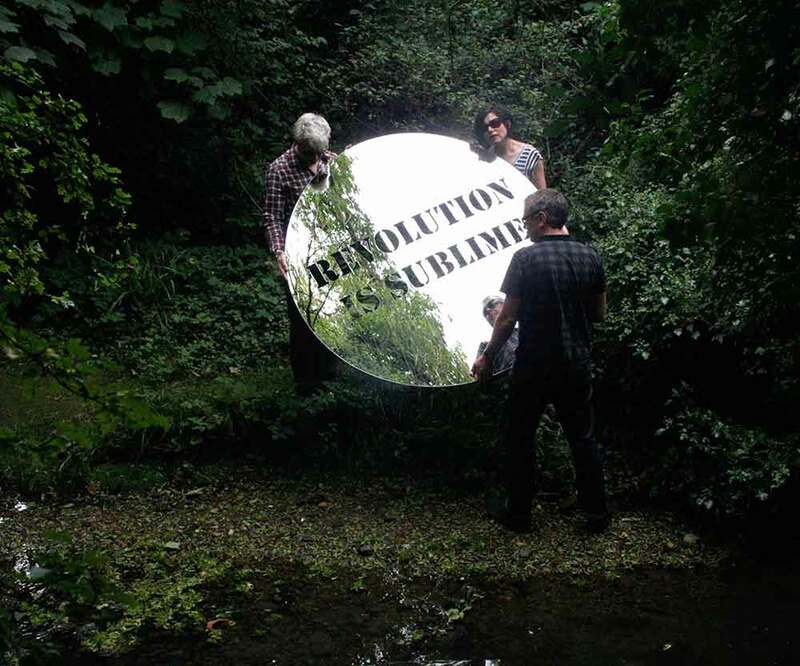 A performative act of isolated philosophical and philosophical declaration, photographed. Various manifestos in printed paper and card. Various types of knitted scarves. 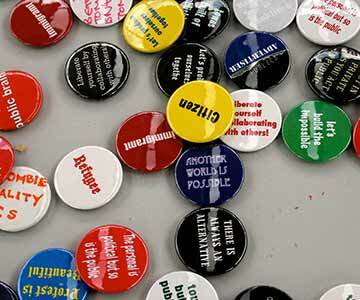 2016 Beyond Art Activism Symposium, (Manifesto for Art), Irish Museum of Modern Art, Dublin, IRL. 2015 How to Change the World, 9th International Conference in Critical Management Studies: Is there an Alternative? Management after critique. University Leicester. 2014 Part of the Game nGbK, Berlin, Germany.